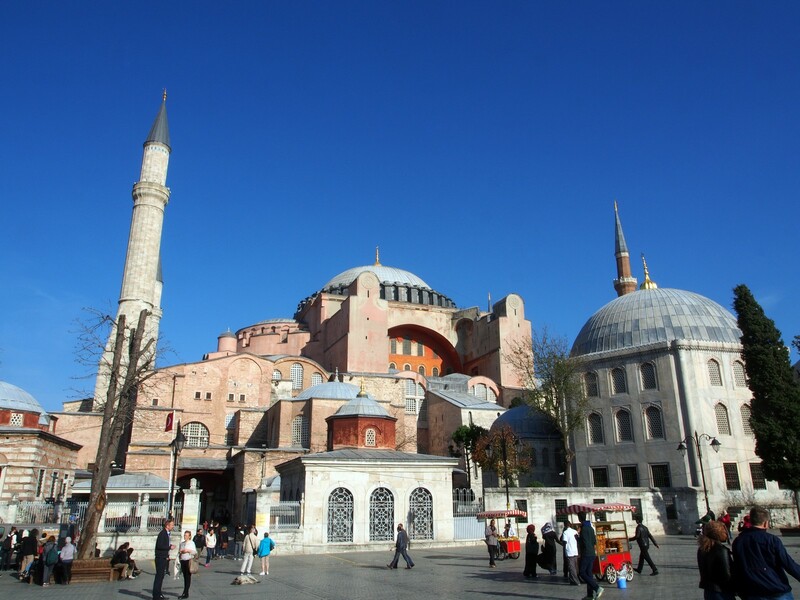 Istanbul, previously known as Constantinople, and before that as Byzantium, has played a key role in world politics for two millennia – as the capital of two enormous empires, the Byzantines and the Ottomans. 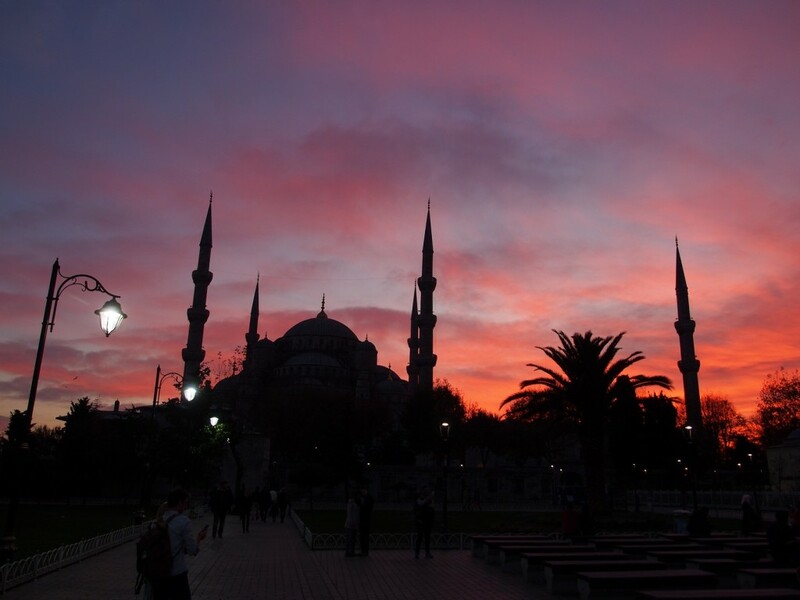 It’s the only major city in the world to spread across two continents, straddling the Bosphorus Strait and controlling access between the Mediterranean and the Black Sea. 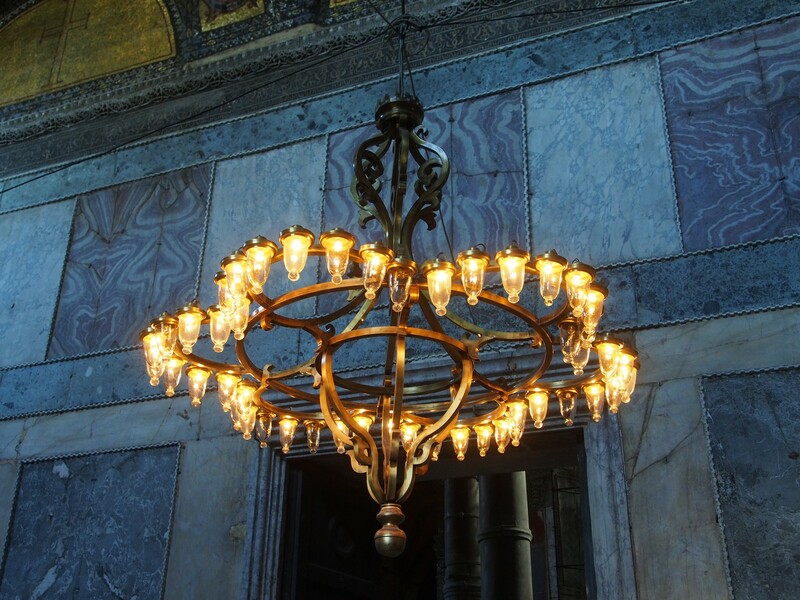 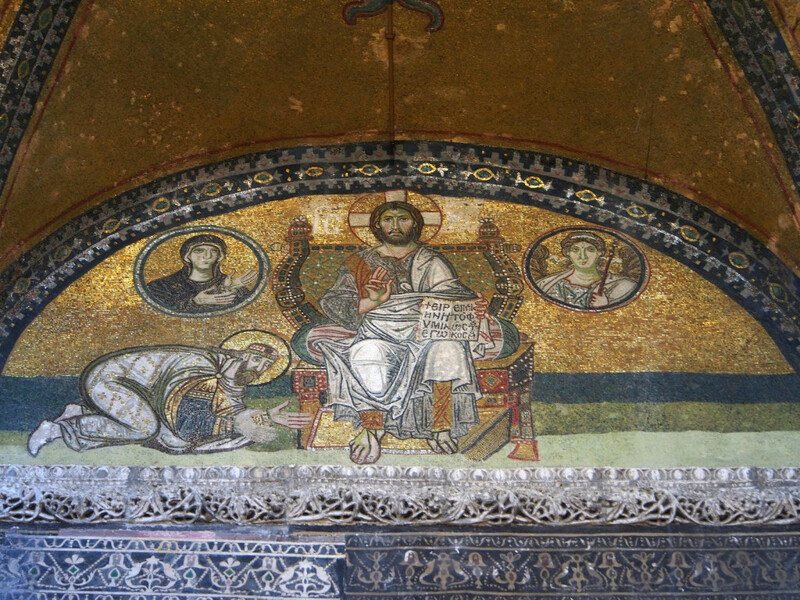 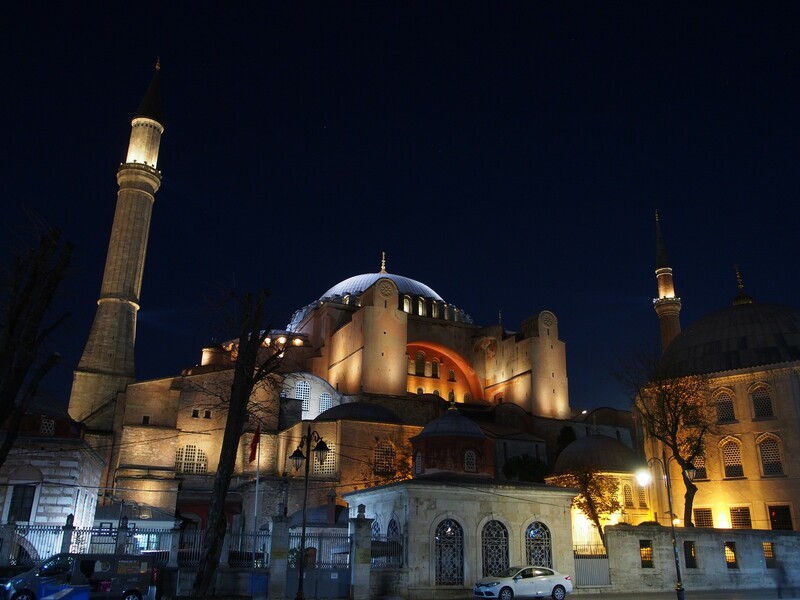 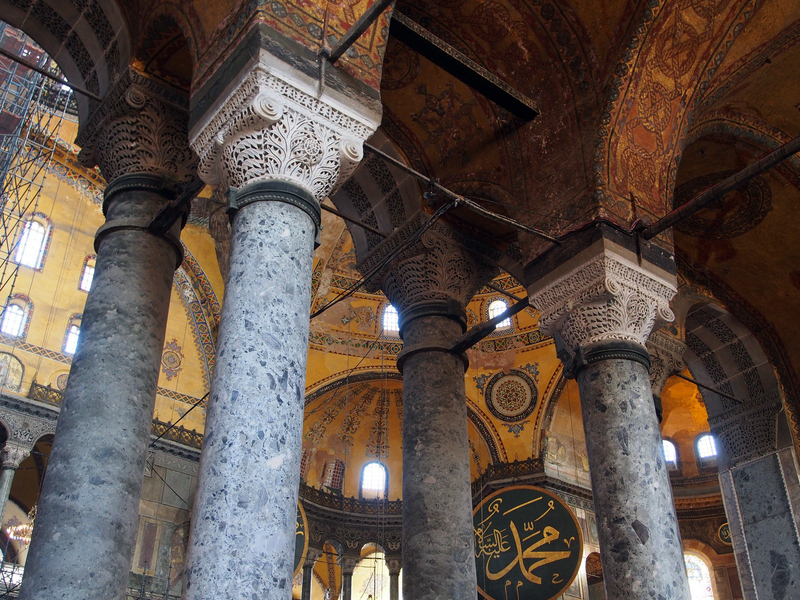 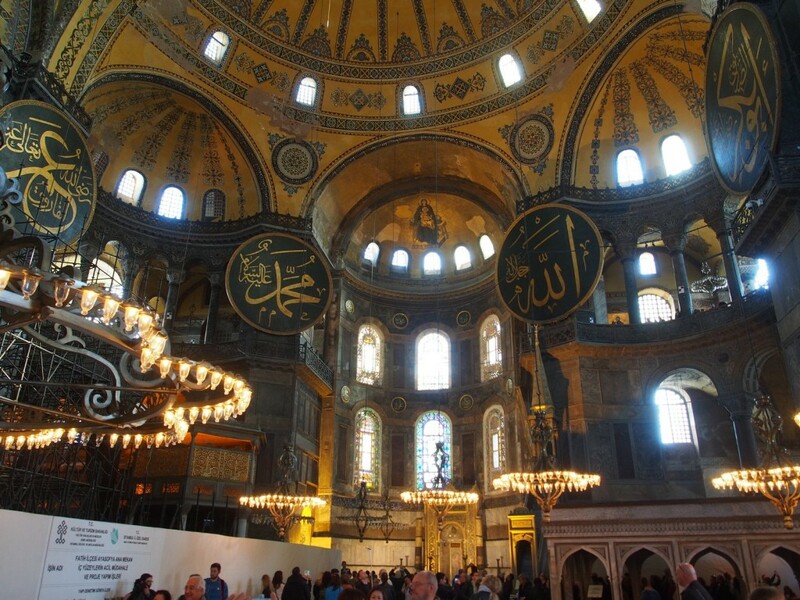 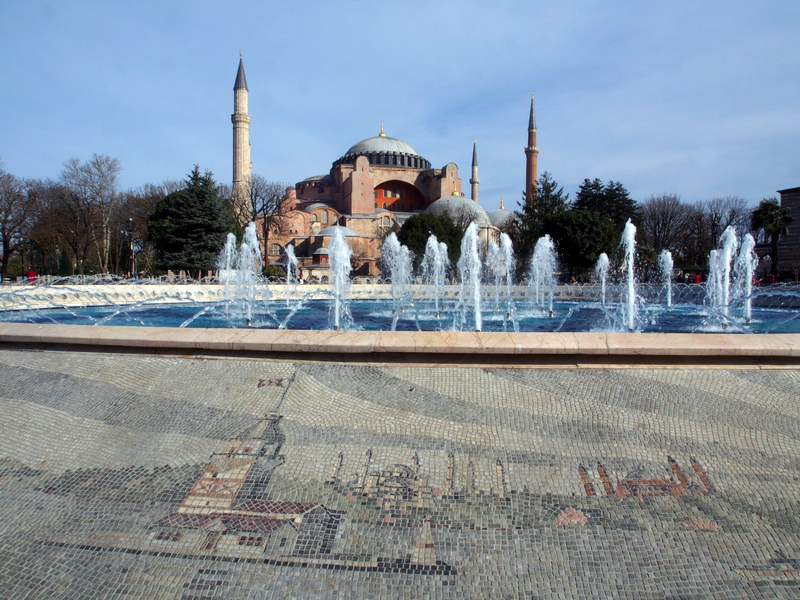 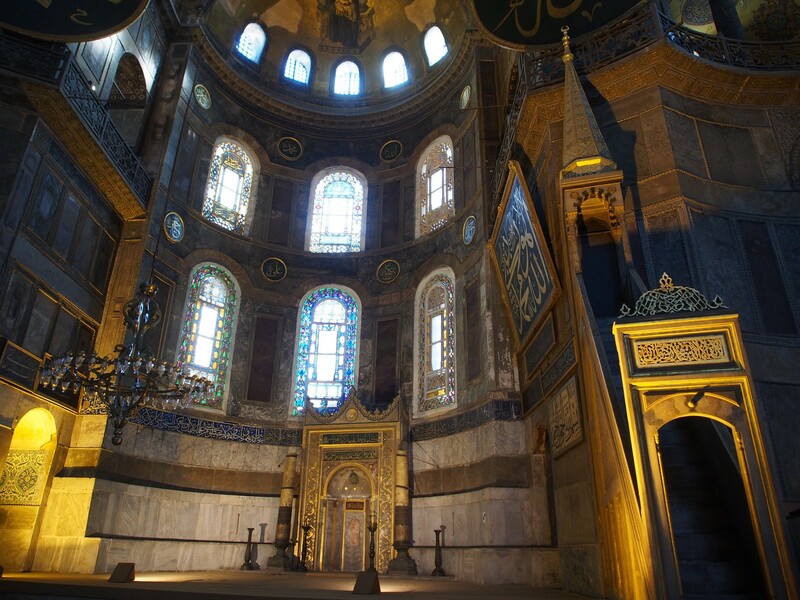 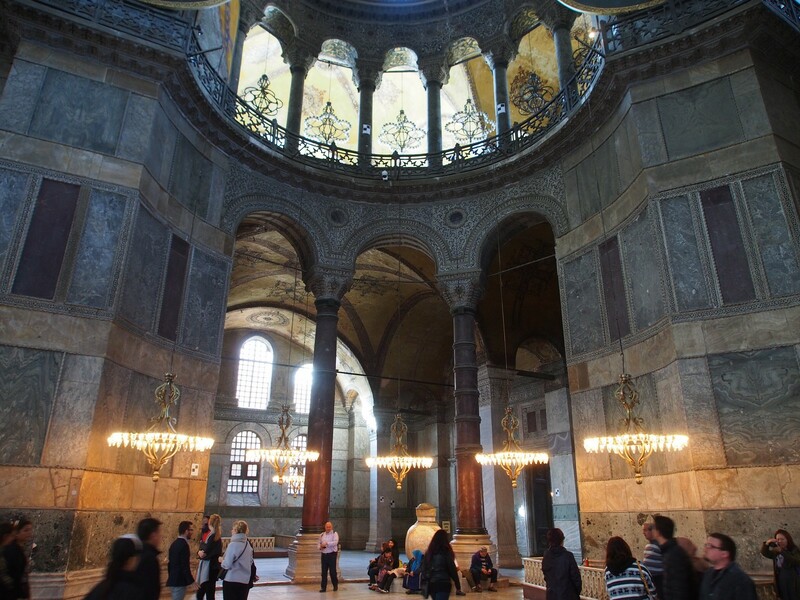 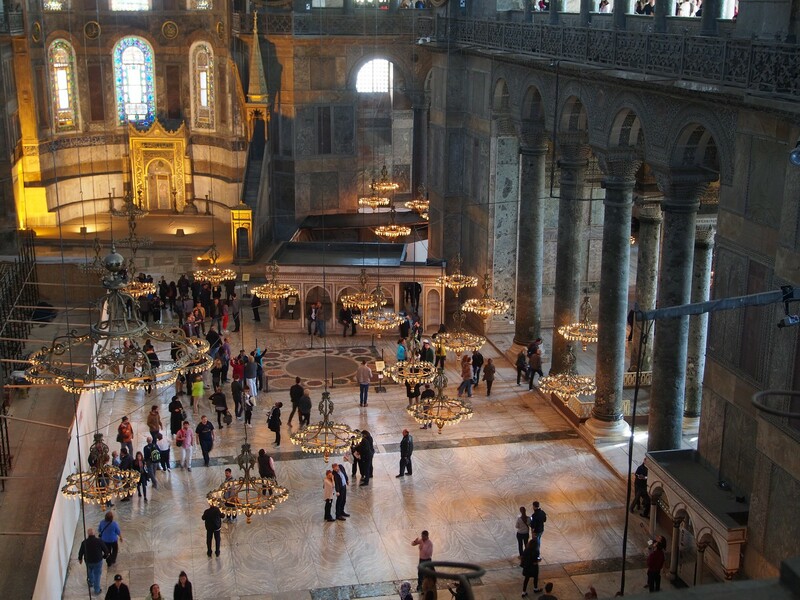 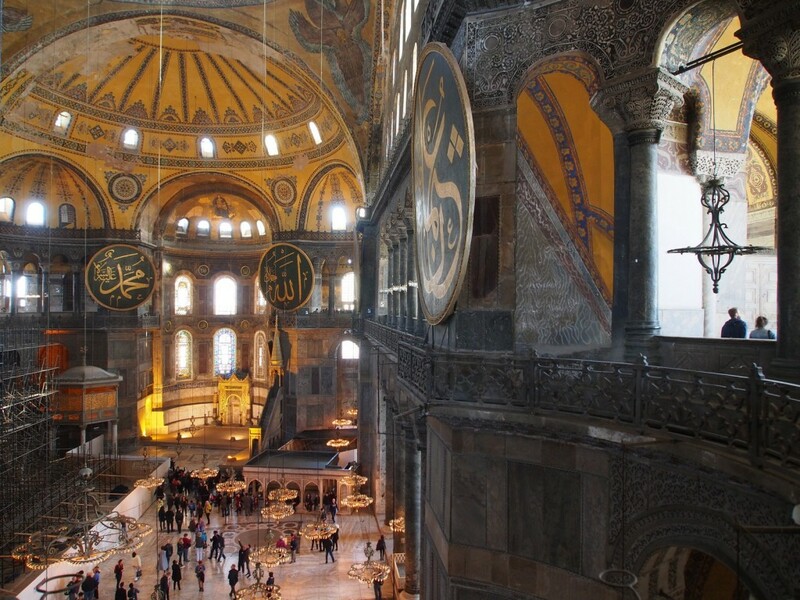 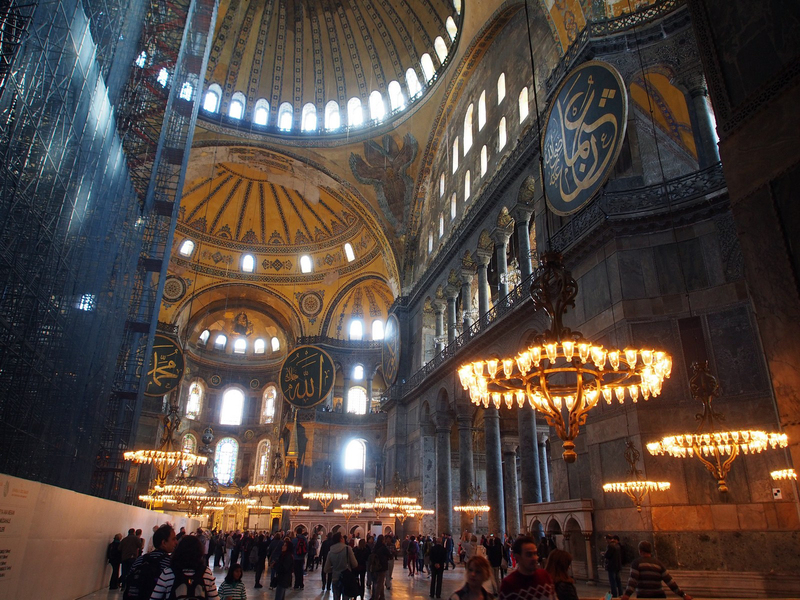 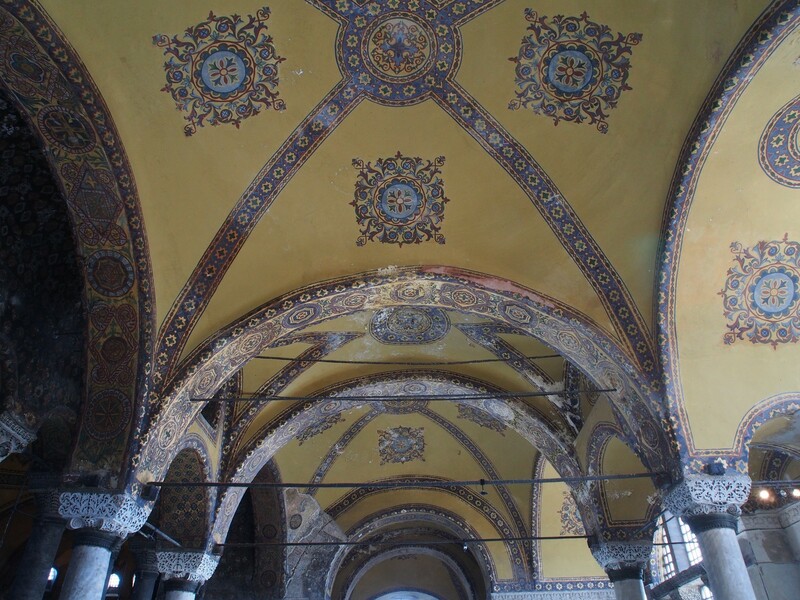 Perhaps the grandest and best known monument in the city is the Hagia Sophia. 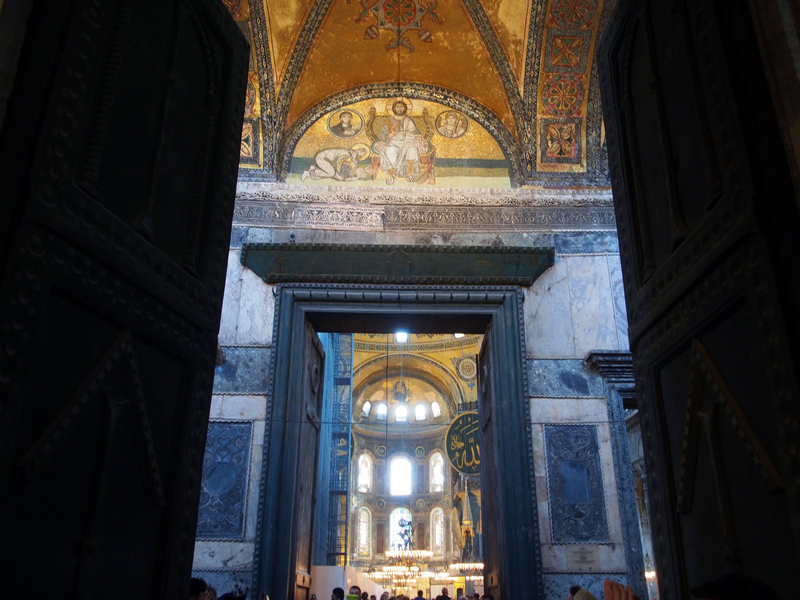 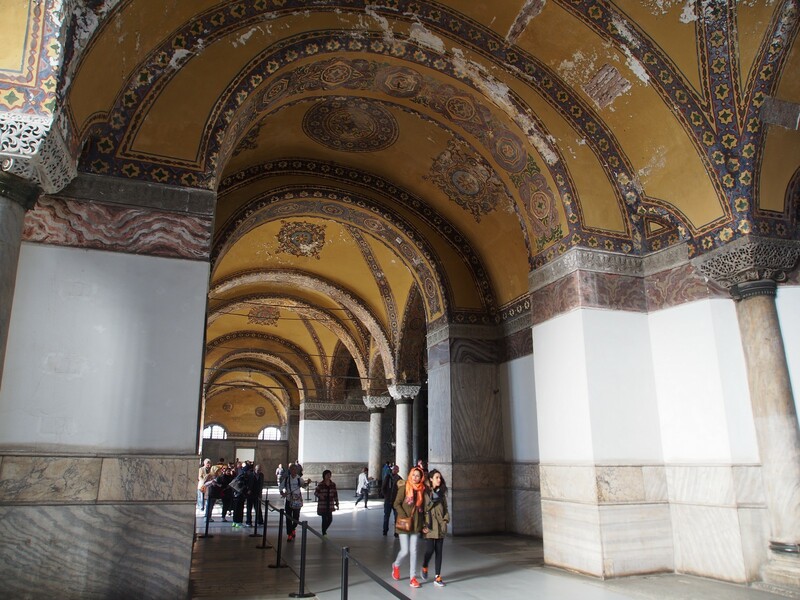 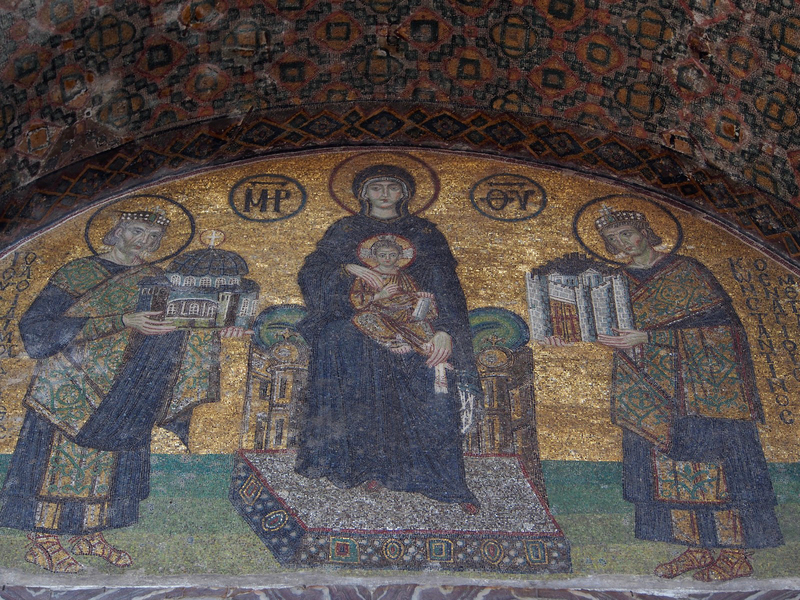 Built in 539AD by the Emperor Justinian to be the grandest cathedral in the world, it was the seat of the Orthodox Church for almost a thousand years. 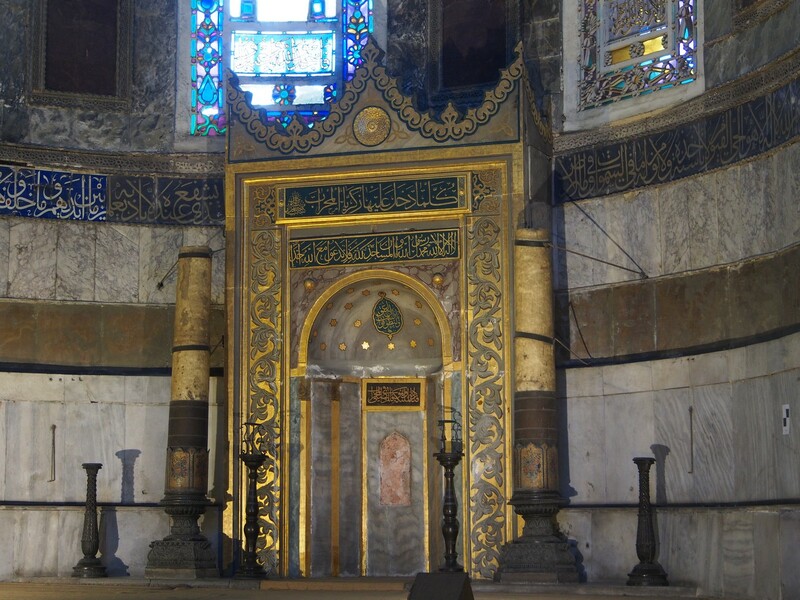 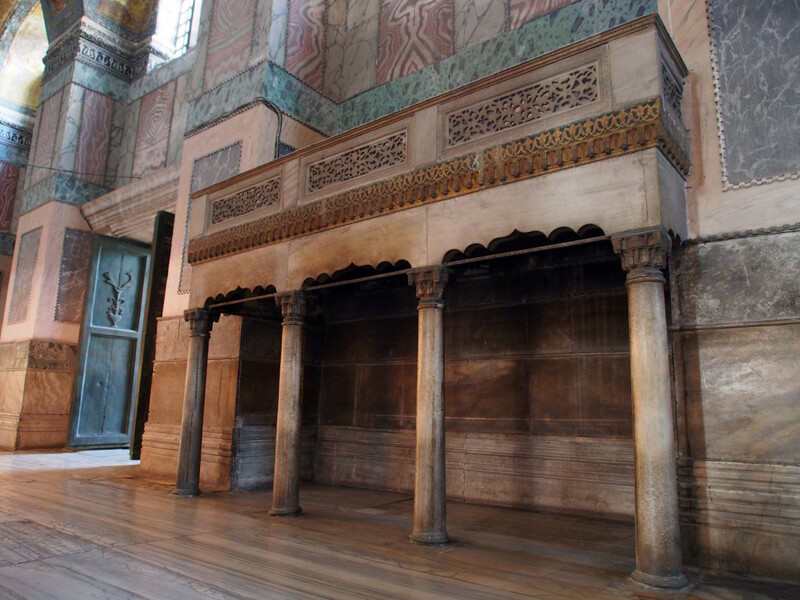 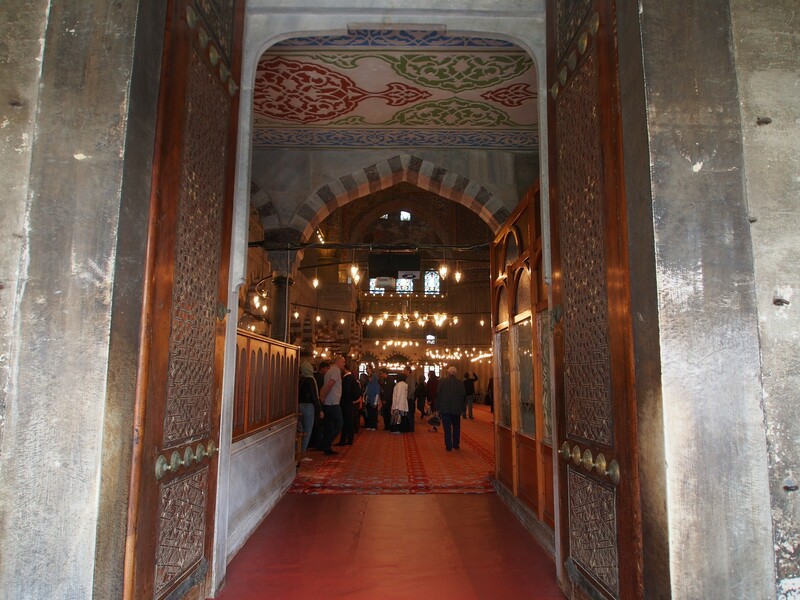 In 1453 when the Ottomans took Constantinople, it was converted into a mosque, and served as such until 1931, when it was secularised and made into a museum. 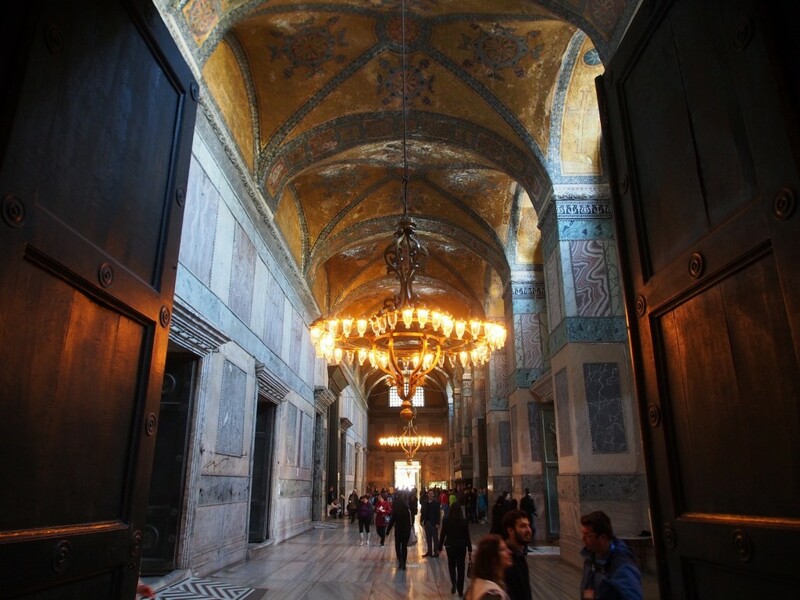 The entry halls and narthex are impressive enough, even before entering the main chamber. Stepping into the main chamber takes your breath away. 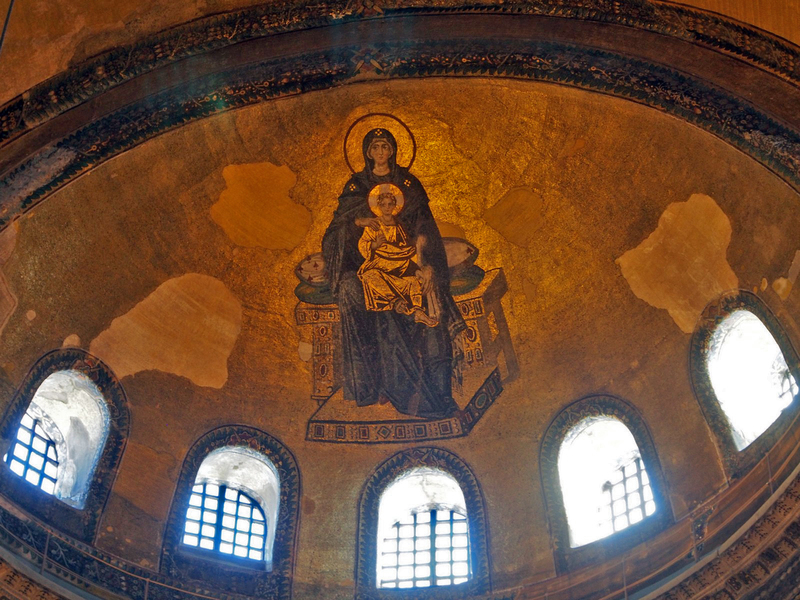 The enormous dome is over 55 metres high – tall enough that the Statue of Liberty (without its base) could fit inside, and still have ten metres of clearance over the top of the torch. 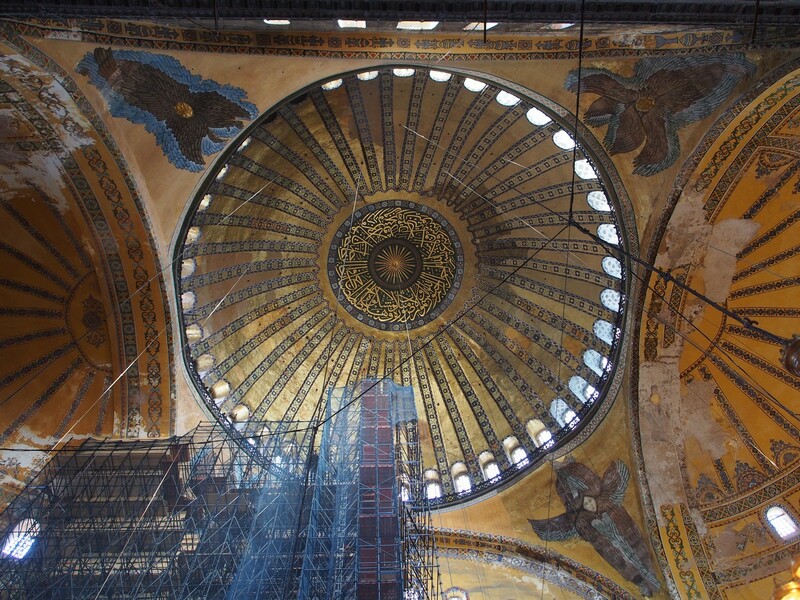 Sadly at the moment there are significant restorations underway, meaning there’s scaffolding blocking large parts of the view. 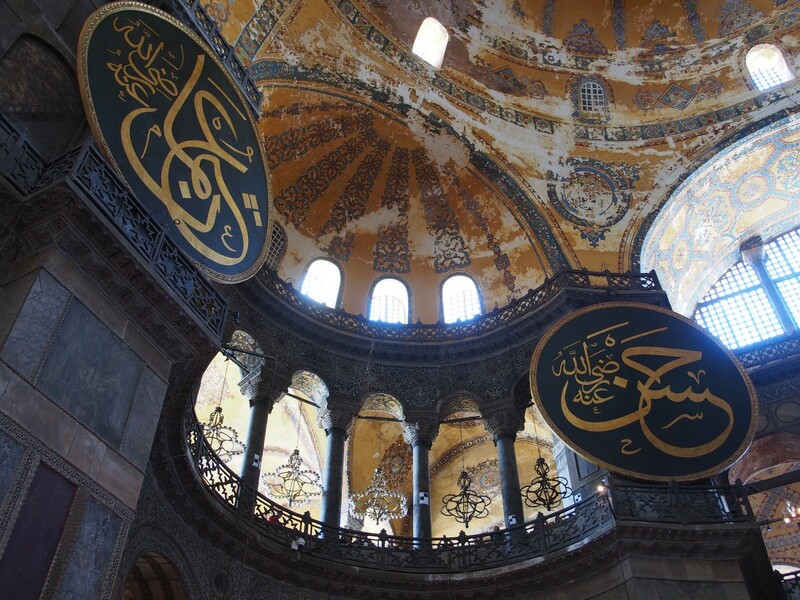 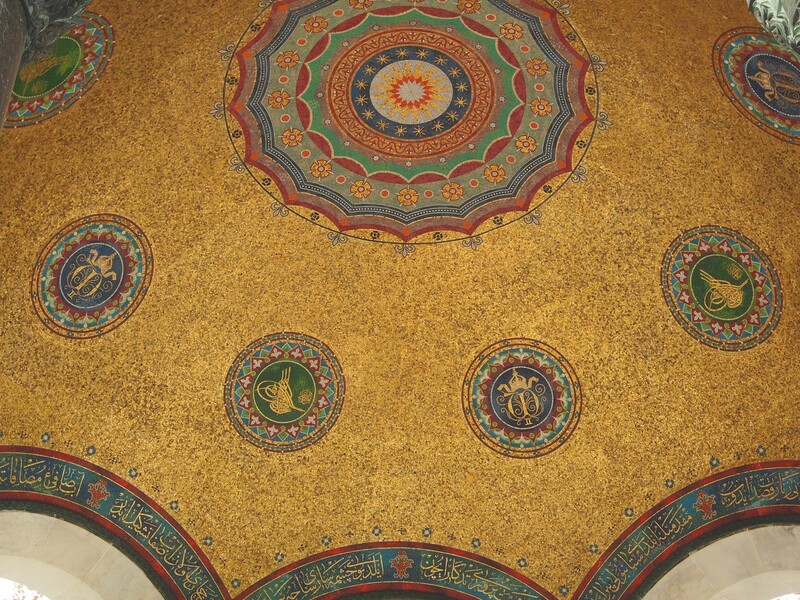 The restored iconography includes both Orthodox and Muslim symbols, representing both uses. 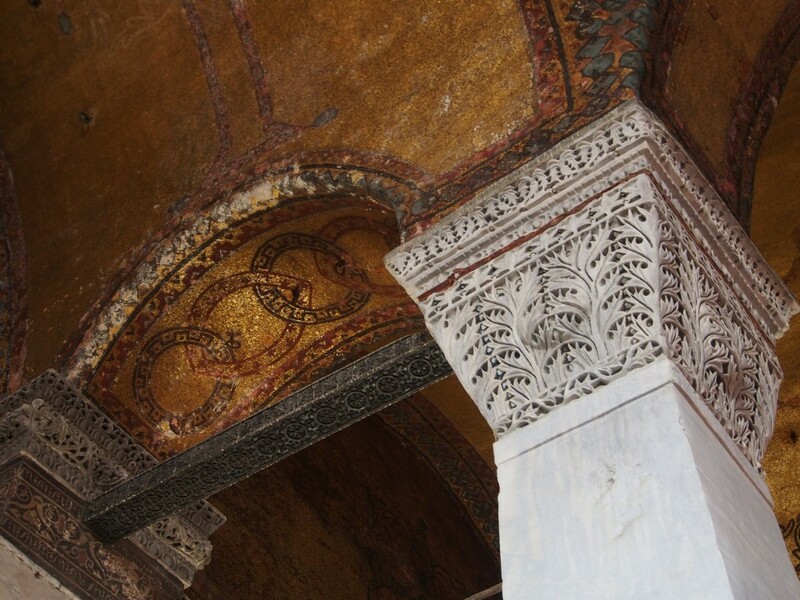 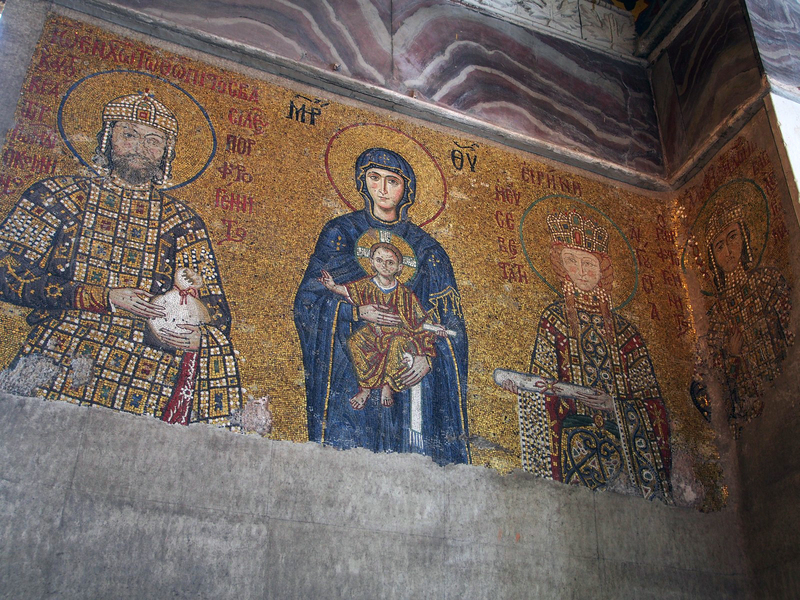 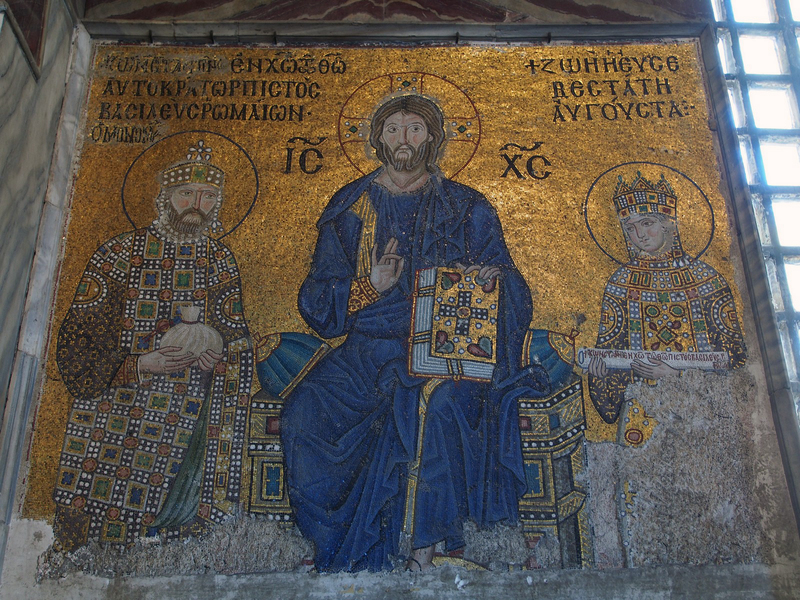 There’s an upstairs level, too, where some of the best-preserved mosaic remnants can be found. 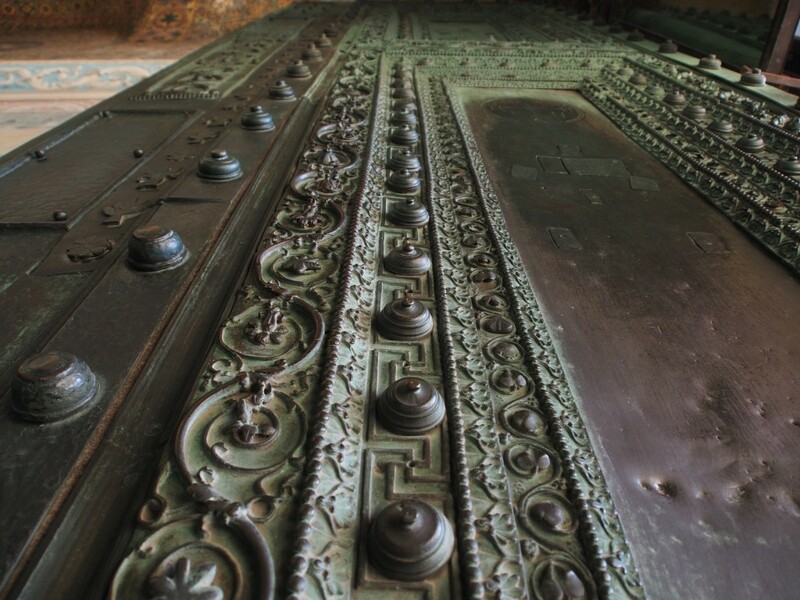 There’s plenty of small details that catch the eye too. 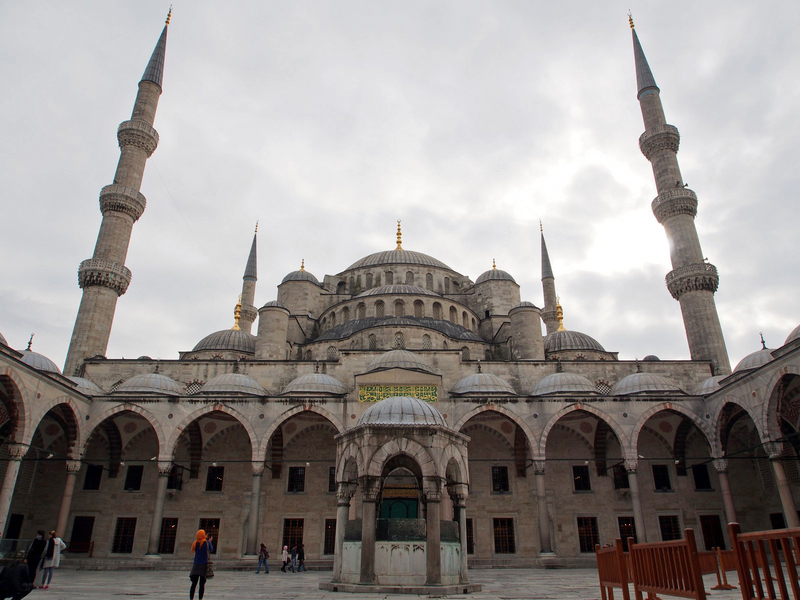 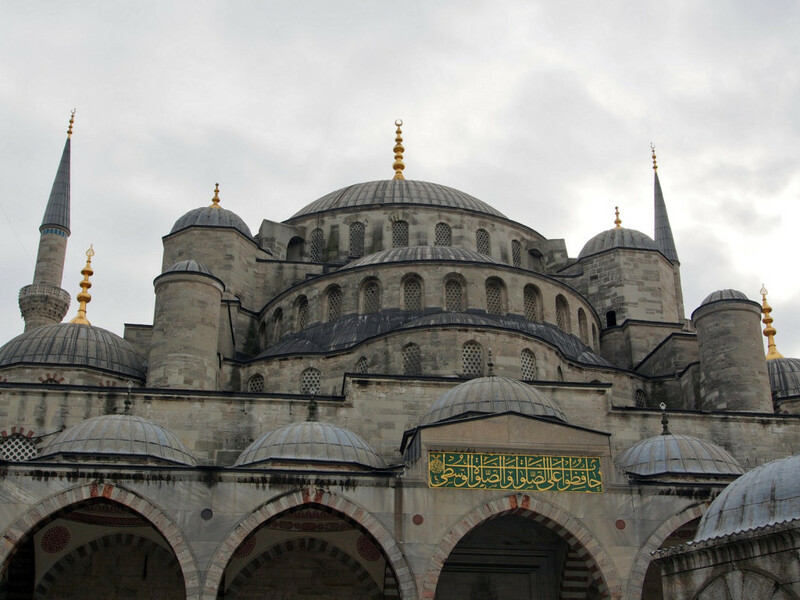 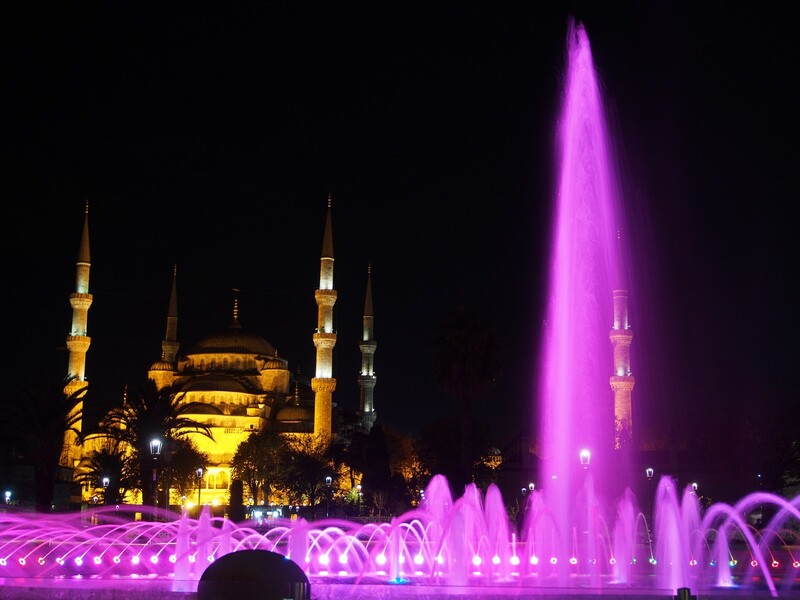 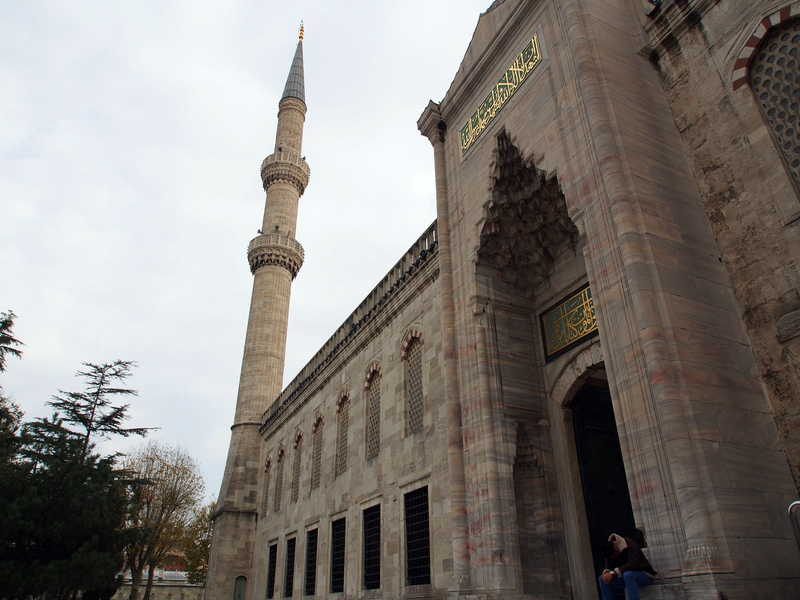 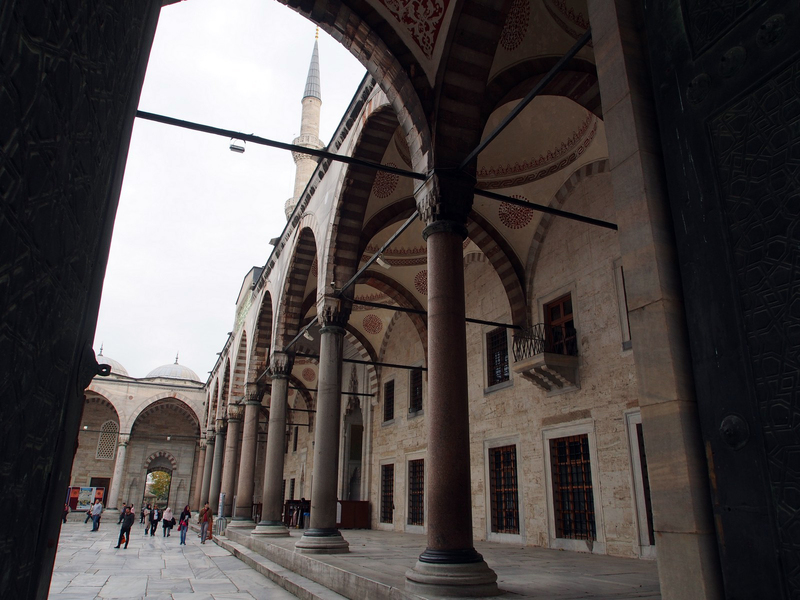 Outside, just across a small pedestrian square, is the building that was meant to finally surpass the Hagia Sophia in beauty and scale – the Sultan Ahmed Mosque, or “Blue Mosque”. 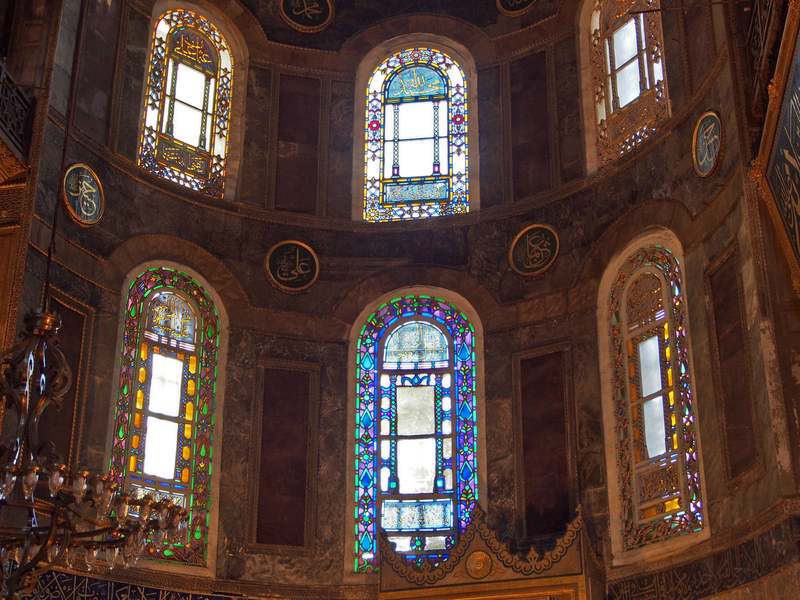 Built in 1616, it’s famous for the intricate mosaic tiling covering every surface, and is actually still a working mosque. 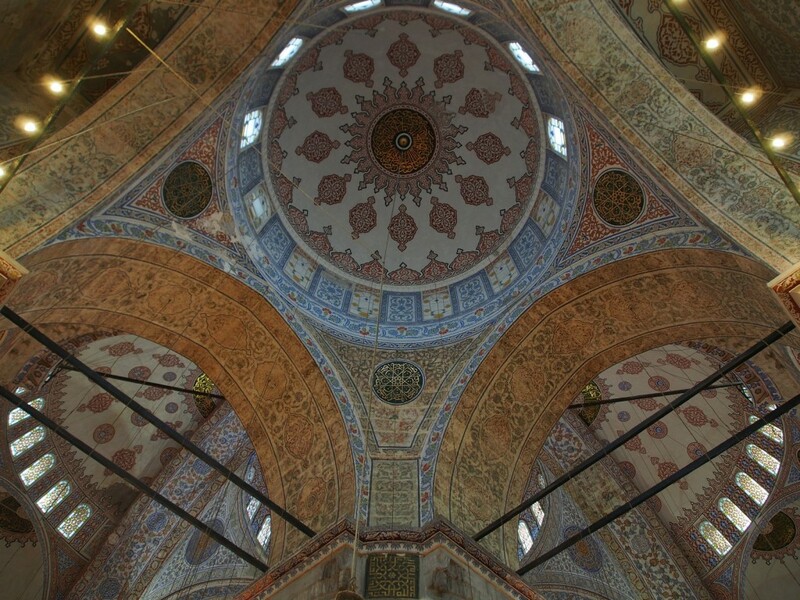 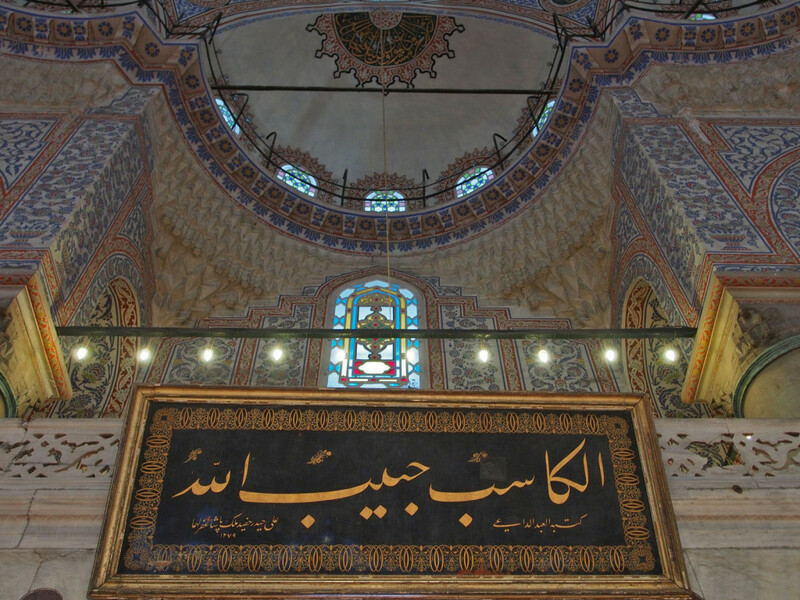 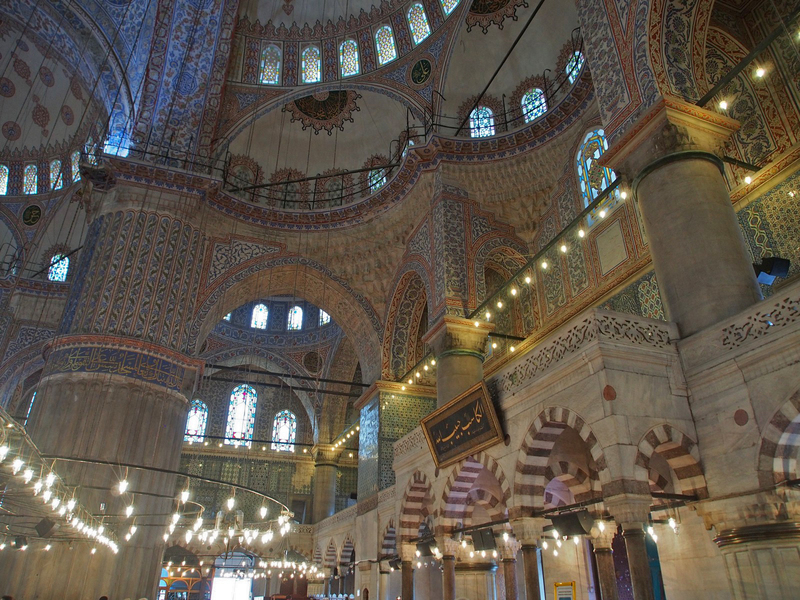 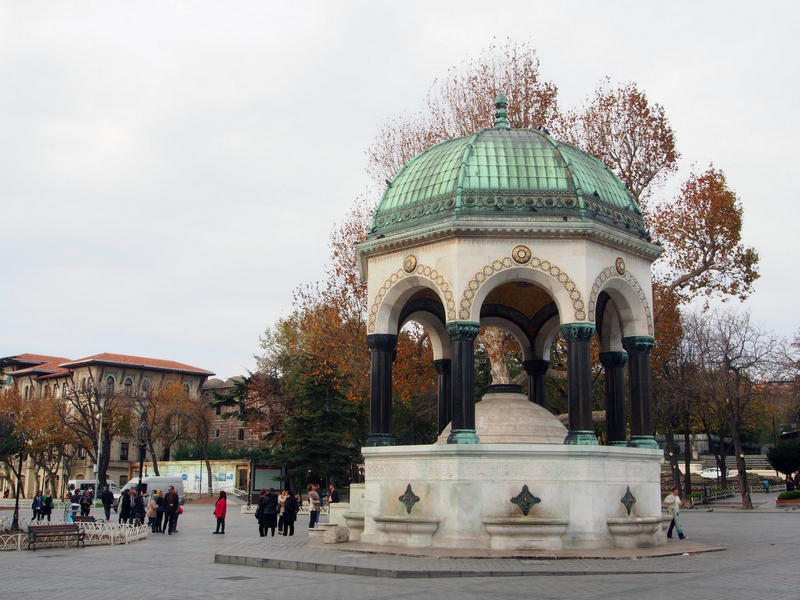 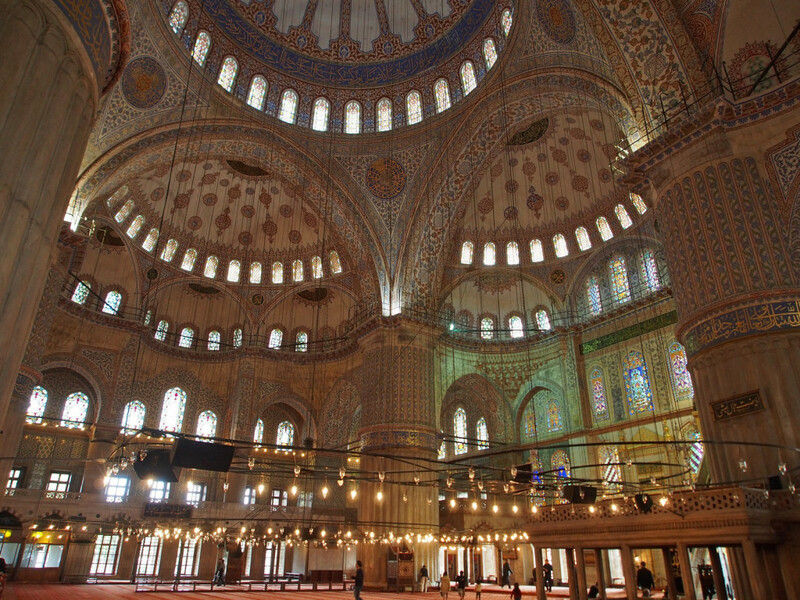 Its design, a series of ascending half-domes to a larger main dome, was the model for thousands of smaller provincial mosques across Turkey and the wider Ottoman Empire. 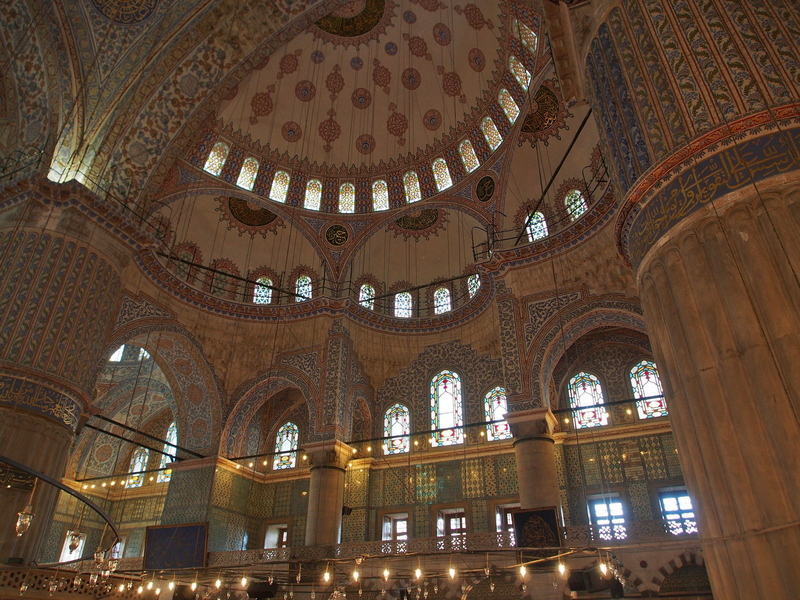 Inside is as lavishly decorated as one would expect, although it’s less ‘blue’ than I was expecting – the tiles have all the colours of the rainbow. 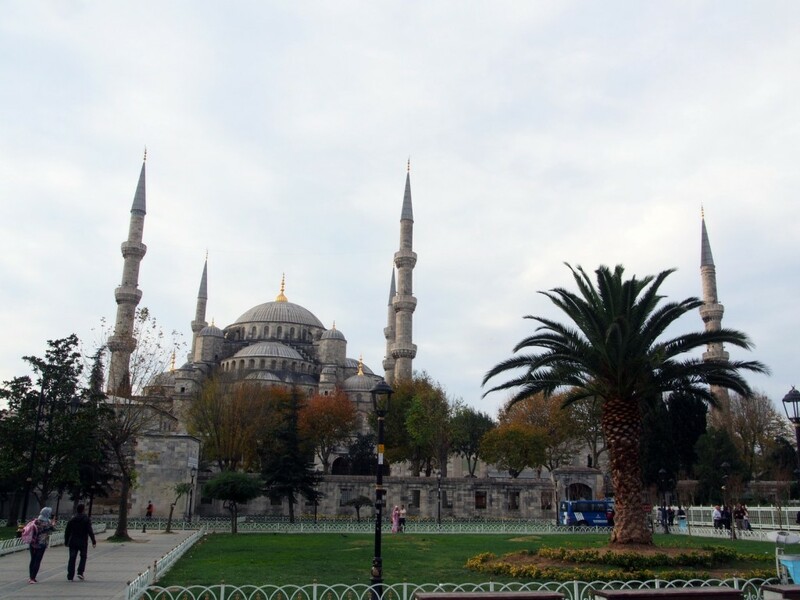 Just outside the Blue Mosque is the Hippodrome, where chariot races and the like used to take place. 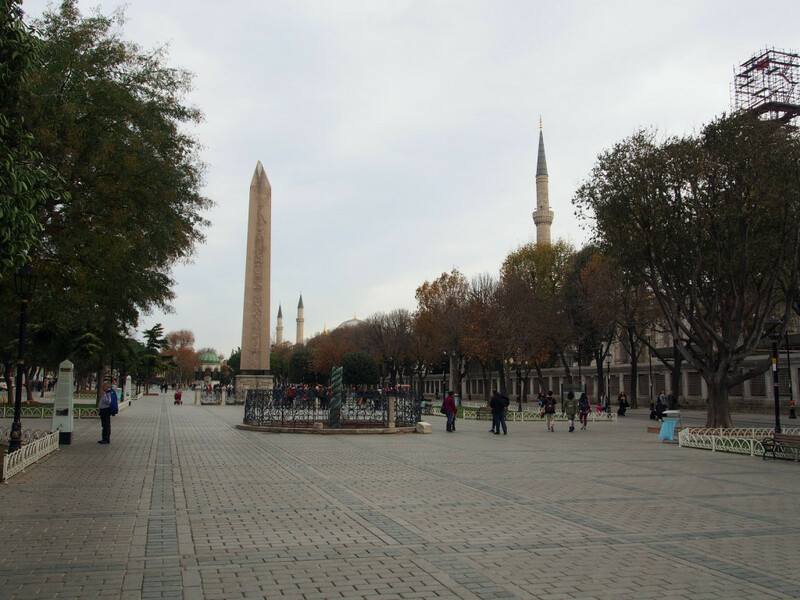 Of most interest here are three obelisks. 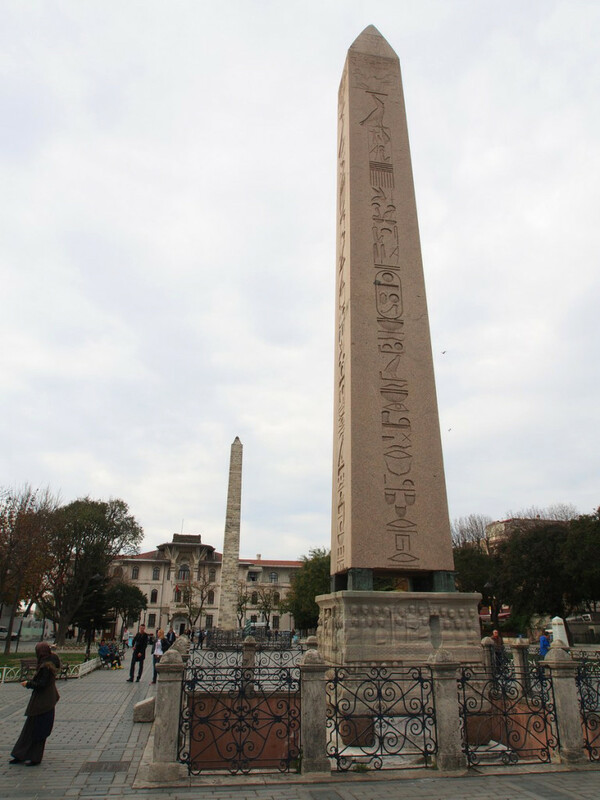 The serpent obelisk, dating back to the 5th Century BC, was moved from the Temple of Apollo at Delphi, while the Obelisk of Thutmose III came from Egypt and dates to 1415BC – although they’re both severely damaged. 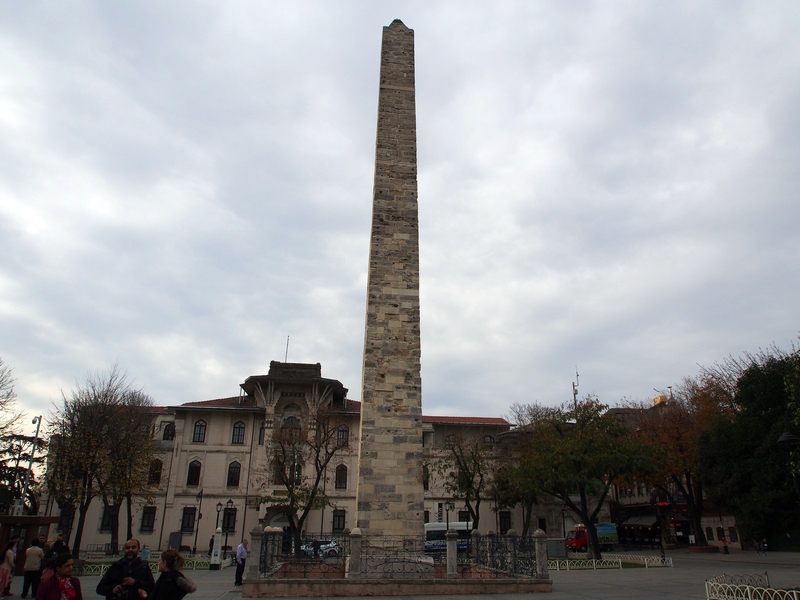 The third, “walled” obelisk was built in the 10th Century AD. 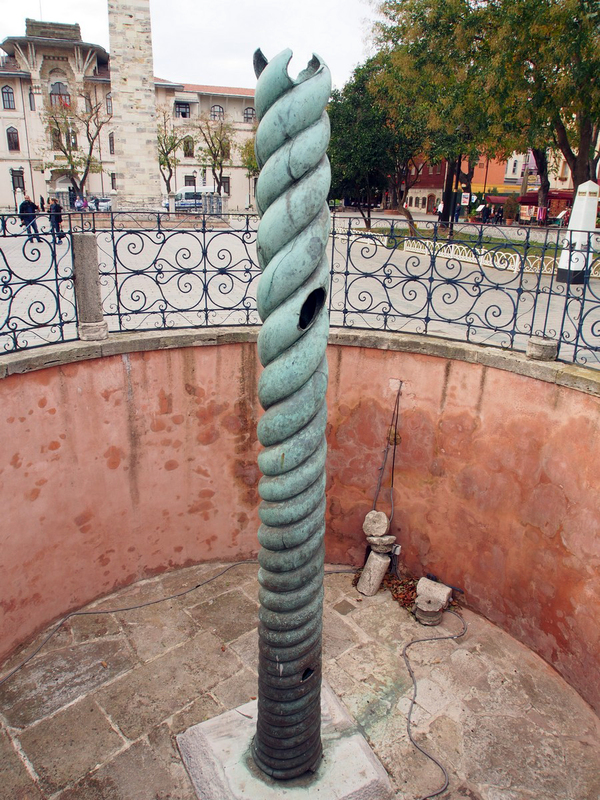 At the other end is the German fountain, built to commemorate the visit of Kaiser Wilhelm in 1898. 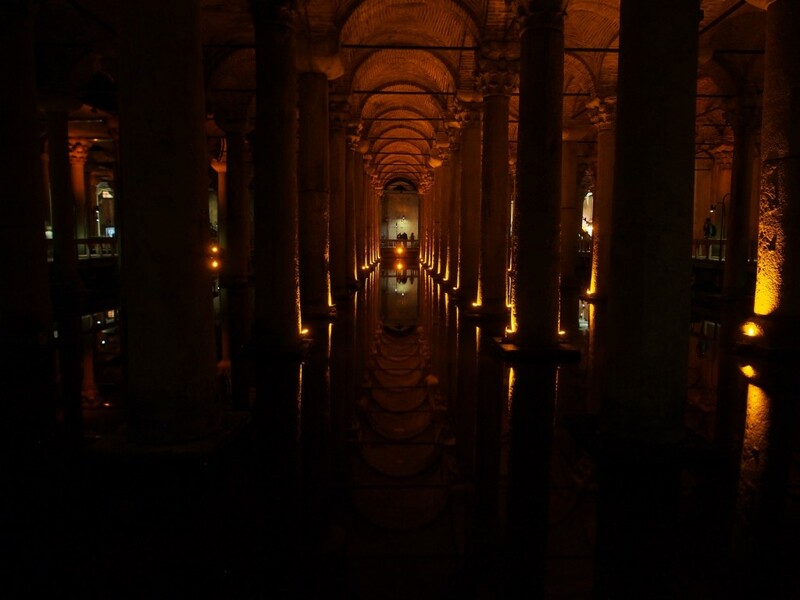 Another ancient artefact of the city’s early Byzantine heritage is the Basilica Cistern – a huge underground water storage cavern. 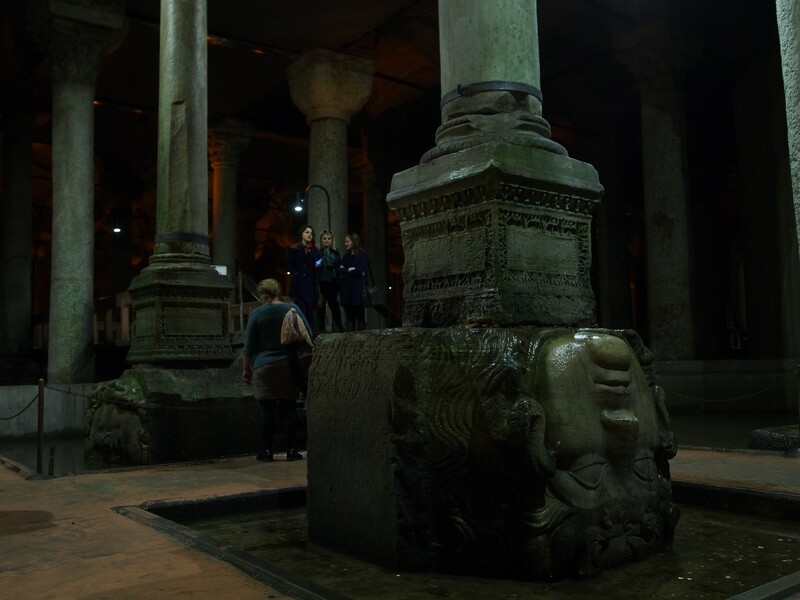 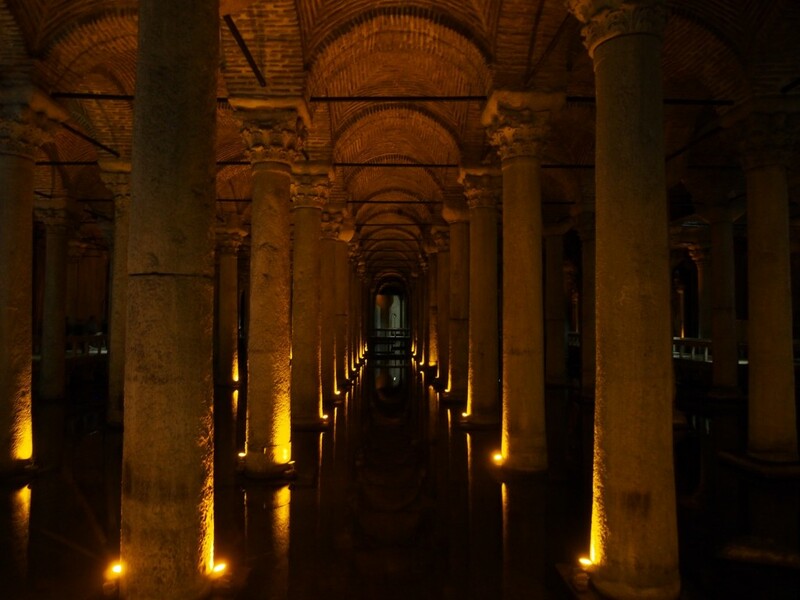 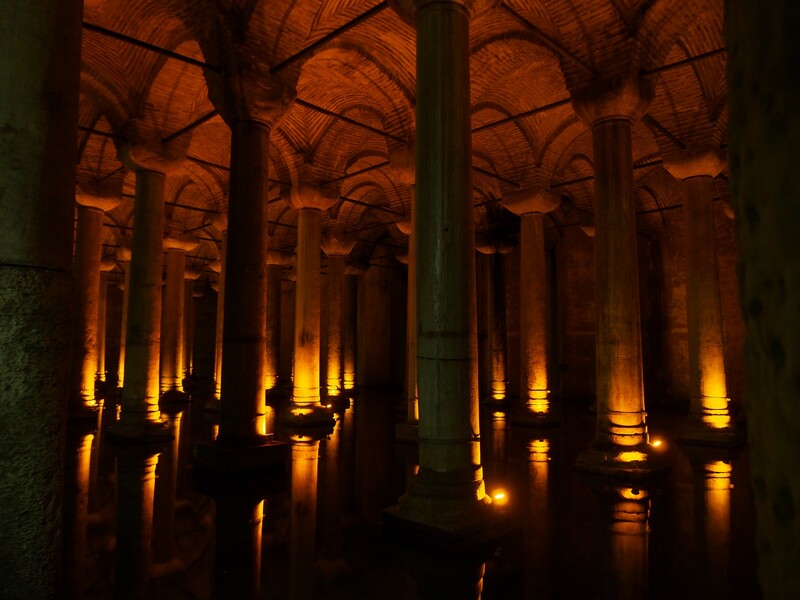 Built in the 6th Century AD to protect the city’s water supply in the event of siege, it more resembles an enormous underground palace, with dozens of marble columns lining the darkness. 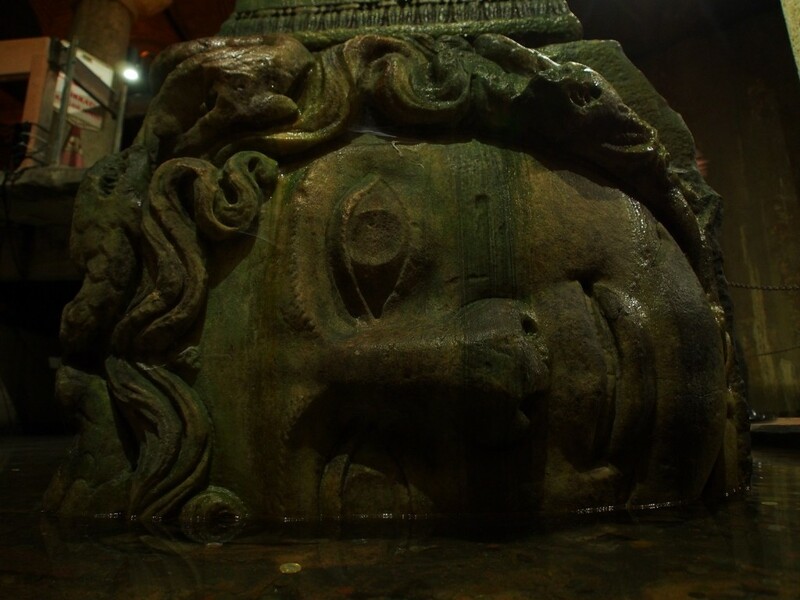 The most famous feature here are two large stone statues of Medusa’s head. 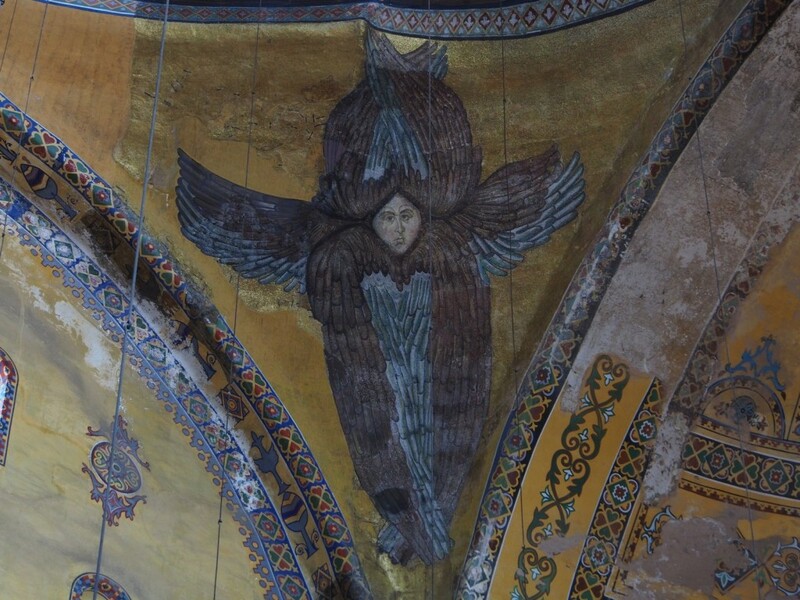 No-one is quite sure how they ended up here, but legend has it they are either upside down or sideways because it negates her power. 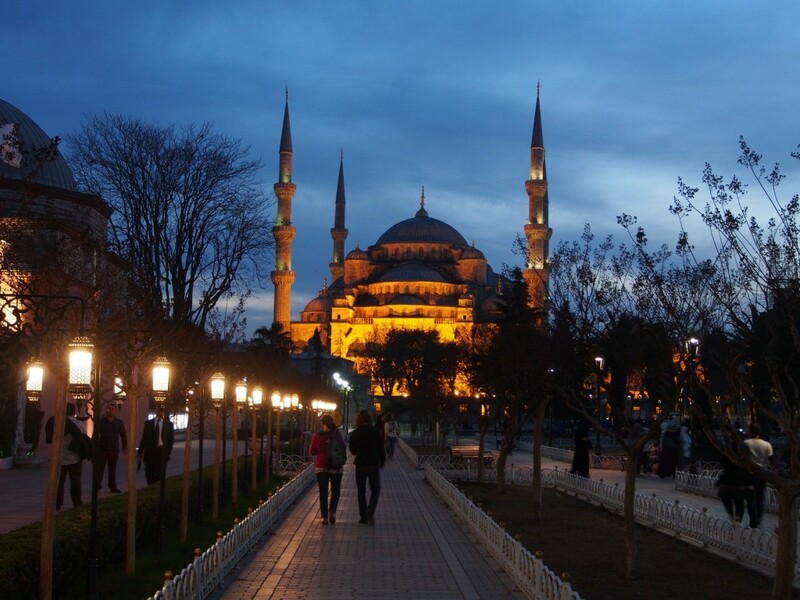 The city is also a gorgeous place to wander at sunset and after dark, as the monuments are floodlit.